An platform/adventure game that allows us to take control of a female wolf able to transform into a beautiful princess. The heroine attempts to guide a blind prince to the center of the forest inhabited by a witch that will help him regain his eyesight. publisher : NIS America | Nippon Ichi Soft. 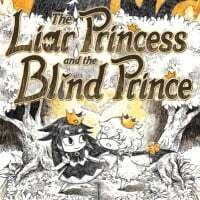 Liar Princess and the Blind Prince is an adventure/platform game developed by Nippon Ichi Software and released for a number of platforms. Liar Princess and the Blind Prince introduces us to a fearsome female wolf endowed with a beautiful voice. Each evening, the wolf sat on the top of a high rock and sang, listened to by a young prince. One night, the prince decided to see the singer. To save him from disappointment, the female wolf has accidentally hurt the spectator so bad that he has lost his sight. After the incident, the castle guard has rescued the heir and locked him up in a high tower. The wolf, torn with remorse, decided to sneak up to the prince and reintroduce herself as a princess that will take him to a witch living in the center of the forest who will bring back his eyesight. However, before the animal departed on the journey with the prince, it has visited the witch on her own, who rewarded her pretty voice with the ability to change into a beautiful girl. The action of Liar Princess and the Blind Prince takes place in a two-dimensional environment and focuses on exploring gloomy locations and solving puzzles. During the game, we control only the female wolf. The animal can fight using his paws, climb on various elements found in the game’s environment, and remove or push smaller objects. Moreover, the wolf can transform into the titular princess, which gives her the ability to touch the prince (without hurting him), who cannot travel on his own, and has to be carried by hand, and cooperate with him in order to solve encountered puzzles. It should be mentioned that if we aren’t able to complete a given fragment of the game, we can skip the troublesome section completely. The hand-drawn two-dimensional visuals of Liar Princess and the Blind Prince maintain an atmosphere of a grim fable. The feeling is reinforced by cut-scenes depicted as a series of moving pictures.